Eight books down now on my Richard Stark/Donald Westlake Parker novel marathon. 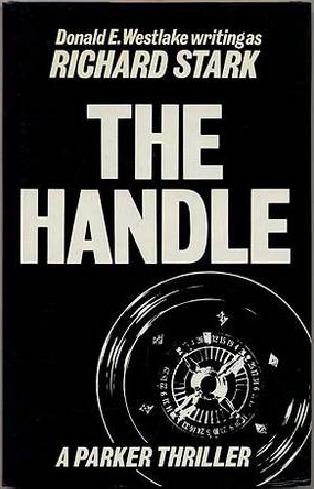 I just finished #8, The Handle, which was a fairly straightforward heist tale with a few swerves to keep things interesting. Parker getting involved with the FBI struck me as slightly unlikely in this one; I'm pretty sure the Parker of earlier novels would have cut and run at the sight of the Feds, no matter how badly he needed money. But what the hell: it made for an interesting set-up. I was sad to see a semi-regular cohort bite the dust, but on the upside Alan Grofield gets a fairly meaty part in The Handle. I've just started reading the first solo Grofield novel, The Damsel, which follows on directly from The Handle, so it'll be interesting to compare that to the Parker books. 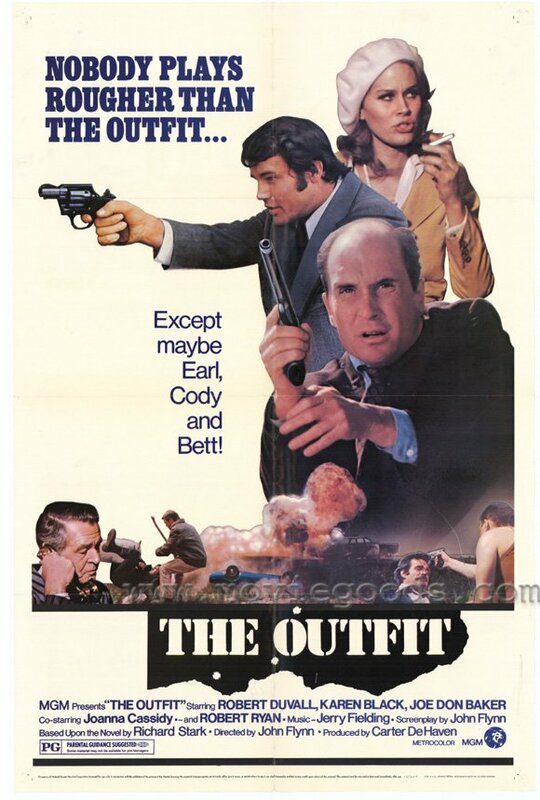 And I finally got round to watching the 1973 movie version of The Outfit. It's surprisingly faithful, with many of the beats of the novel translated almost verbatim. Also, Robert Duvall doesn't really look like Parker but he sure acts like him. He's abrupt almost to the point of monosyllabic in places, which is in keeping, although he does display a certain amount of tenderness to his girlfriend. I haven't seen that side of Parker in the novels yet, but perhaps it's coming – I think he hooks up with his squeeze, Claire, in the next one, The Rare Coin Score. Anyway, other than the addition of a girlf, the other major change in the film of The Outfit is that Parker – or rather Earl Macklin as he's called in the movie – and Handy – or rather Cody – take all the scores themselves, rather than other criminals doing them. 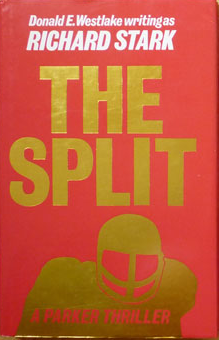 That alteration makes sense though: it gives the film more of a standalone feel, and a straightforward through-line. It took a little while for me to get used to the relaxed pace of the film (the occasional burst of excitement aside), but overall it's a pretty decent piece of '70s crime moviemaking.